I’m often asked: “How do you Clean Cowhide Rugs?” Well, for me this is the big pull of a cowhide rug over other woollen or ‘man-made’ rugs. They are so very easy to keep clean! 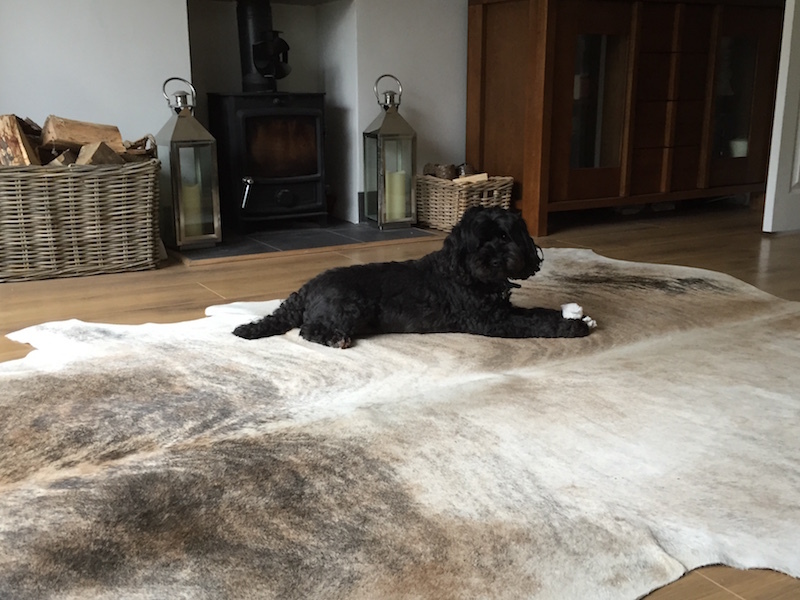 Heidi’s gorgeous cream/ivory Zulucow cowhide rug; a favourite resting place for Hugo and his bones! 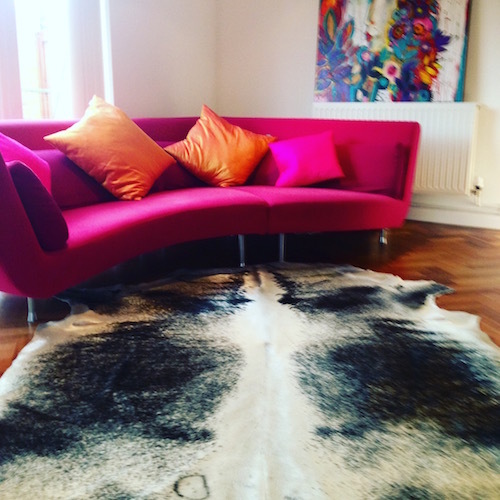 The reason why Heidi finds it so easy to keep her gorgeous Zulucow cowhide rug clean, is because our cowhide rugs are very high quality; tanned to the highest standards and do not absorb dirt. The hair on the hide is not a hollow fibre (unlike wool) so it’s perfect for high traffic areas; muddy feet and paws. I should know…our rugs withstand muddy football boots, labrador paws and my veterinarian husband’s boots! 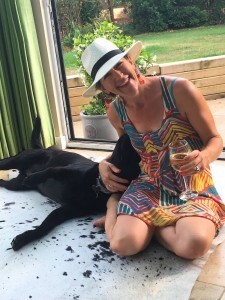 Our labrador: Impi, loves a good roll on our ‘White and Black Dappled’ cowhide rug. 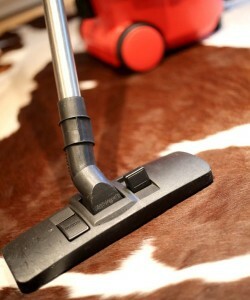 Customers have told me how easy it’s been to mop up accidents on their cowhide rugs. One reported that her child poured milk onto their Zulucow rug, and in another instance a puppy urinated on a hide. Both said, they just took their hides outside; let the fluids slide off their rugs and used a clean cloth to absorb any remaining fluid. 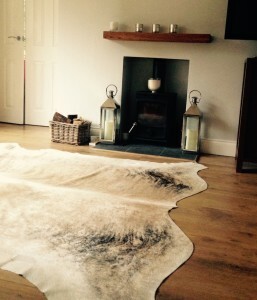 ZC’s cowhide rugs are perfect for busy areas of the home such as halls and sitting rooms; as they are more durable and resistant to dirt and stains compared to other rugs. Yet from time to time, they may require attention and a spot of cleaning. So I thought it was time to explain more..
1. 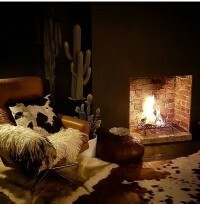 Let the dirt/mud dry and then shake the cowhide rug out; hang it over a gate or wall and give it a bang outside with a hand-brush. 2. 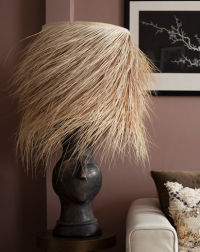 You can remove persistent dirt by brushing it, in the direction of the hair, with a soft dustpan brush; or some people like to vacuum their cowhide rugs (in the direction of the hair), which is also v effective. 2. For stains, use a damp (not wet) cloth from a bowl of soapy water (use non-alkaline soap or organic hair shampoo) to wipe away the wine/foodstain. 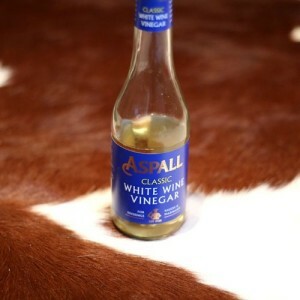 Or use a solution of mostly water and 5% of organic white vinegar to clean the stain. Remember not to get the hide too wet. Rinse the cloth out in fresh water and wipe again to remove the soap until clean. 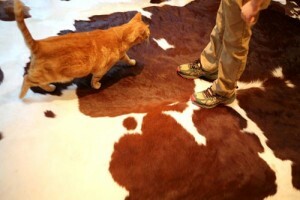 Do not wash or wet your cowhide rug. It is a natural leather item which will go hard if washed liberally in water. 1. Similarly absorb any wine spills with a paper towel and wipe the suede down with a slightly damp soapy cloth or sponge. That’s it! They’re very easy to maintain and look after; even I can manage it with my filthy herd of boys and hounds! Do you have any cleaning tips of your own? I’d love to hear about them, and please do send me some pix. 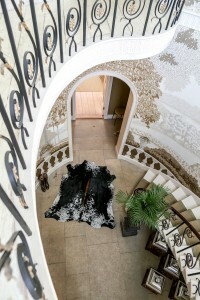 Why Zulucow Nguni Cowhides are Superior to Other Hides on the Market.